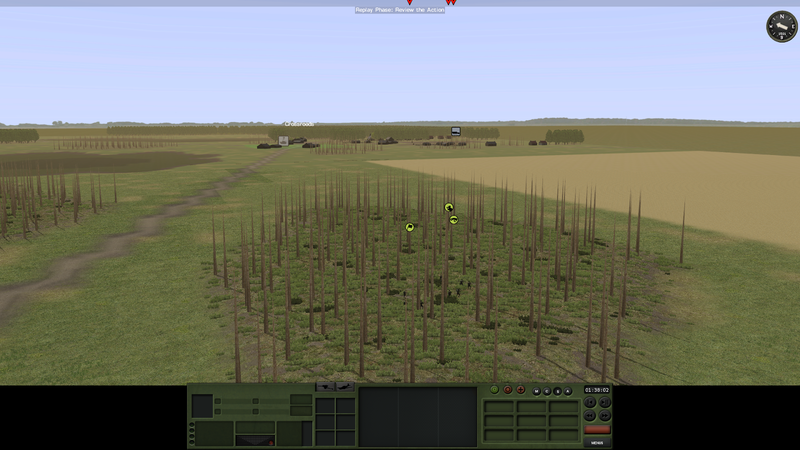 I took a break today from working on revising my CMRT scenario to finally give JC's scenario "One Last Trench" a try. 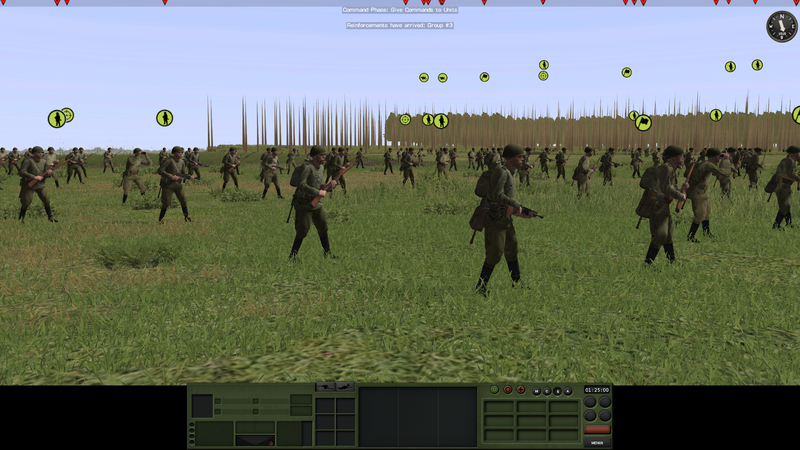 This scenario is a fictionalized version of the Soviet assault against a portion of the 78th Sturm Division's final line in the vicinity of Orsha toward the beginning of Operation Bagration. 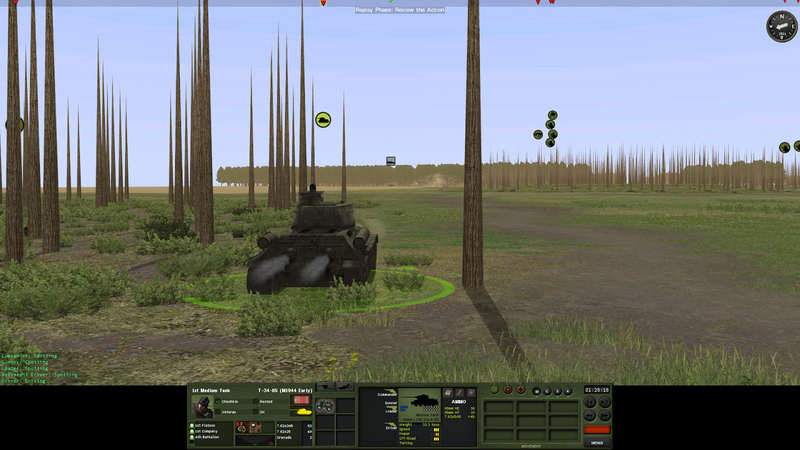 The scenario opens with not much beyond scout and observer teams available to the player. 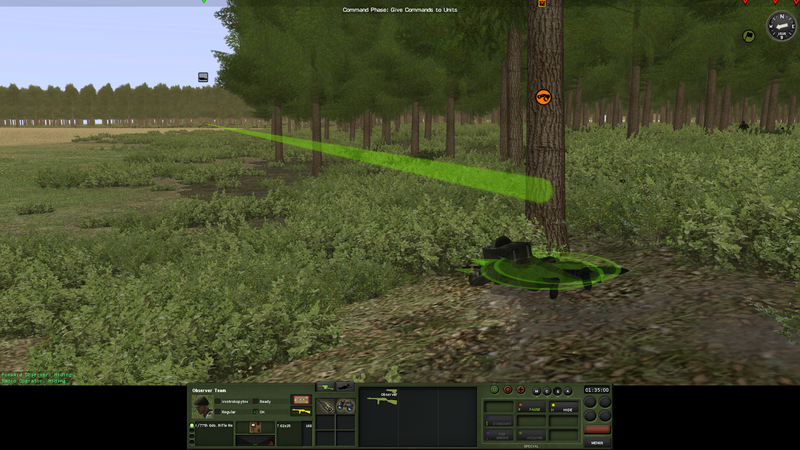 Unlike a lot of Combat Mission scenarios, JC has given plenty of time and provided the right resources to conduct pre-mission recon. As my scout units infiltrate towards the objectives, enemy locations start to be sighted. 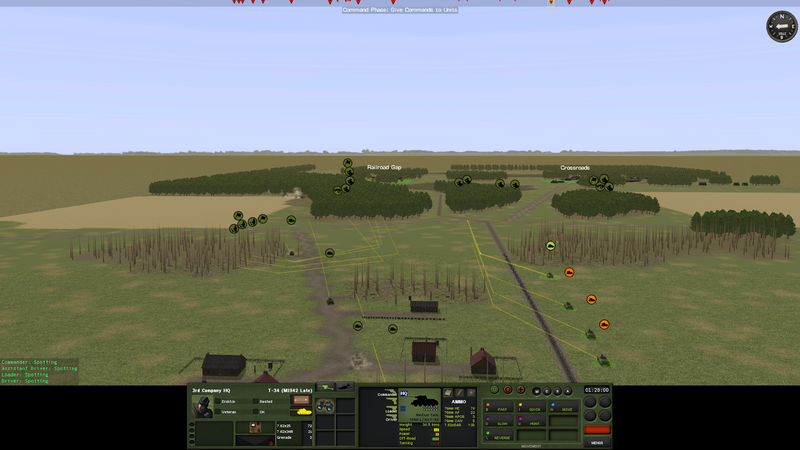 Along with the scout platoons I have FO teams that can call off-map artillery, although with some significant delays. I won't get too many chances to fire my big guns, so I'll need to make the fire missions count. Calling 120mm mortar fire on a German halftrack. I want to move up my sappers to start breaching obstacles but this halftrack can observe their movement path. Nine minutes for the mission to land! The shape of the defensive line is starting to firm up. I don't have much I can do about that yet offensively. I'm still waiting on reinforcements. ...which opens fire on them, causing my first casualties of the game. I still can't get used to the much higher casualty rates of WWII combat versus modern. 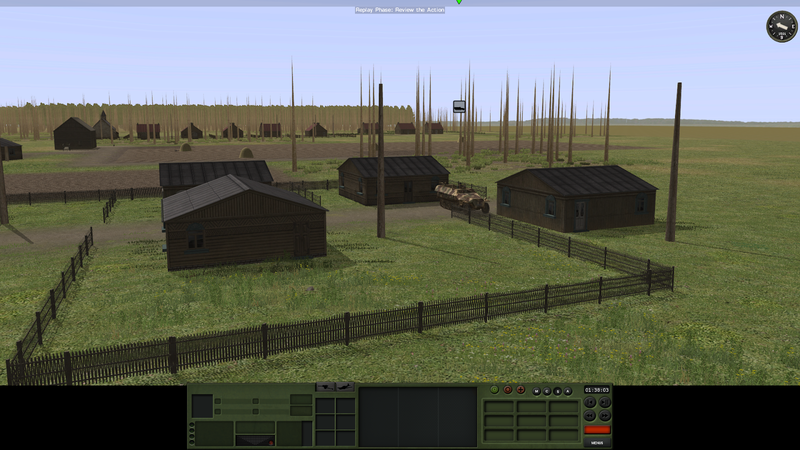 As my scouts infiltrate deeper, the German obstacle line emerges. I need my sappers up to clear this so my main effort can push through here. CMRT maps tend to be much bigger than CMBN maps. There's a lot of open space here. My armor arrives, a mix of regular T-34's and flamethrower tanks. 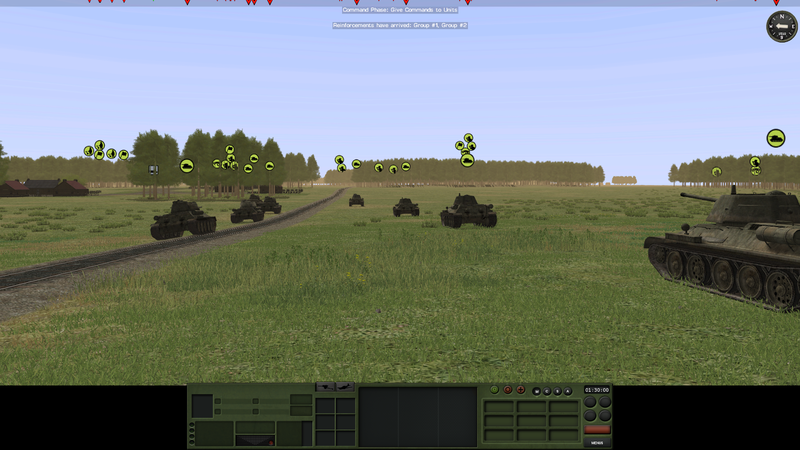 I move some of my tanks into position to screen the movement path of my sappers. 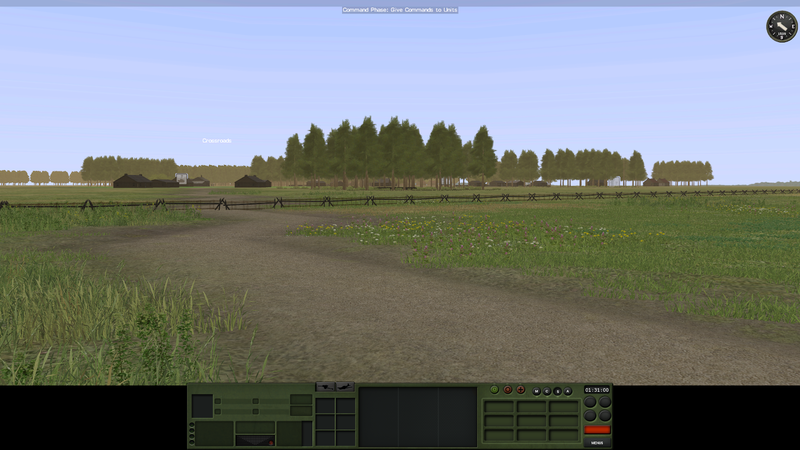 Soon one of my T-34s locates that annoying halftrack. The mortar barrage had just started to fall as well, so the halftrack was beginning to move out. That gave me a nice clear flank shot. 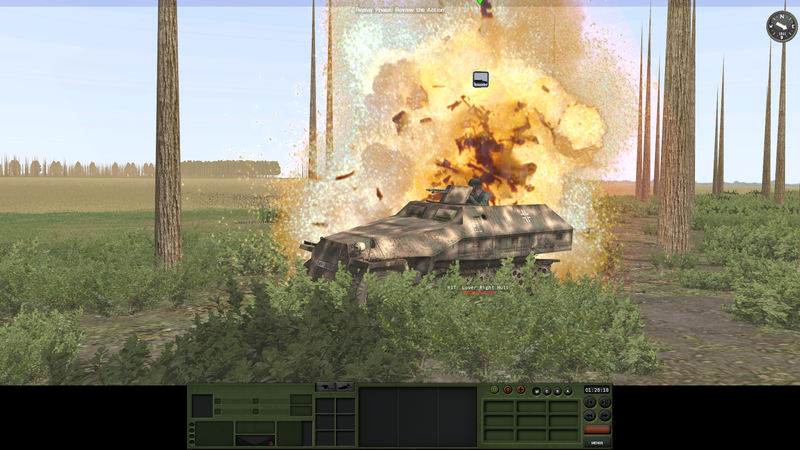 Not that a T-34/76 needs that versus a halftrack, but it did make for a bigger target. Moving my armor up to support my scouts and sappers. 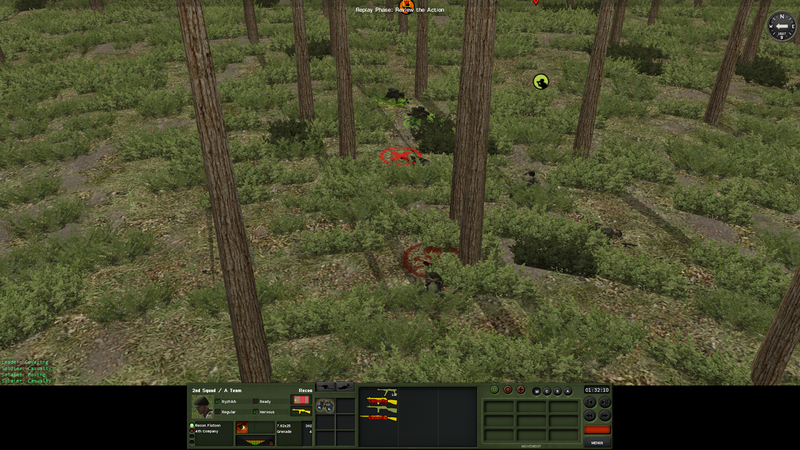 A few minute later my infantry shows up, two companies of Guards Rifle troops. The Germans don't seem to wild about what's coming their way. 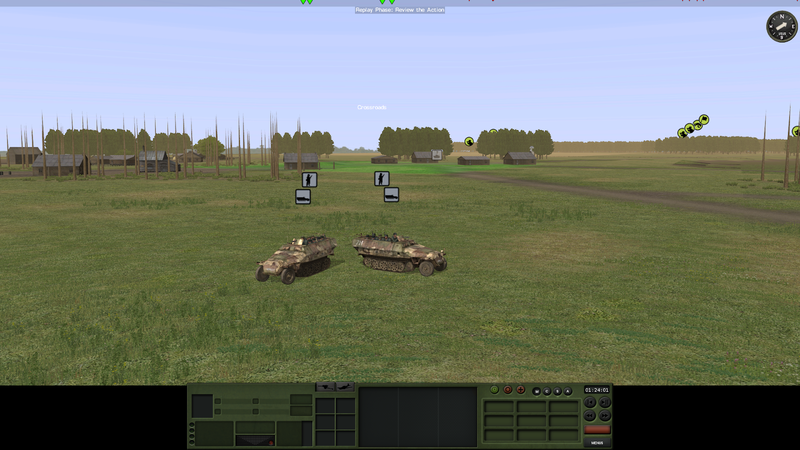 These two halftracks seem to be moving to get away! 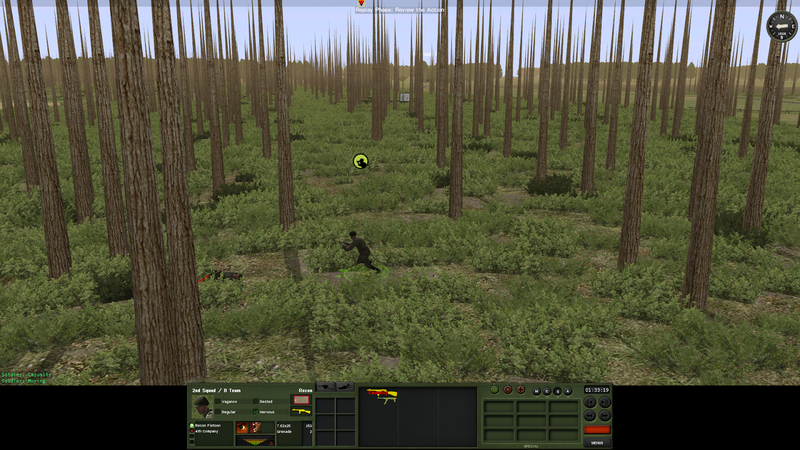 So far there hasn't been a lot of fighting as I try and scout out the enemy positions. I think that's about to change. Wow this map look huge! Good job with your scouts. I didn't scout Village Z and I am paying the price!! !